As a rule, salespeople are keen on measuring themselves against their peers. So who are the best of the best? 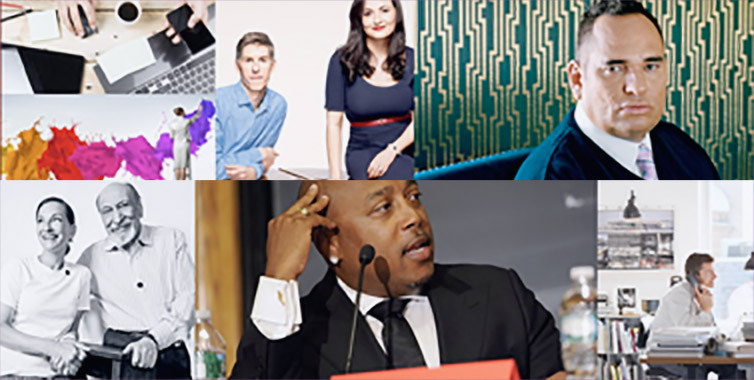 Here are 10 closers who helped invent (and reinvent) the modern world of sales. The founder and CEO of the National Cash Register Company was known to be a stern control freak. He was also the father of modern sales training. He was among the first entrepreneurs to organize sales-training programs and retreats. His company provided salespeople with scripts, and encouraged them to view the sales cycle as a four-stage process that identified the milestones as the initial approach, the proposition, the product demonstration, and closing the deal. The legendary advertising executive who created iconic campaigns for Hathaway, Dove, Schweppes, and Rolls-Royce began his career in sales, moving cooking stoves door to door. He was so successful the company he worked for asked him to write an instruction manual that it then distributed to other members of its sales force. Filled with timeless advice, it became a cult classic. Among his tips: "The worst fault a salesman can commit is to be a bore. Foster any attempt to talk about other things; the longer you stay the better you get to know the prospect, and the more you will be trusted." A successful salesperson in Dallas, Ash quit her job in 1963 because, she said, a man whom she had trained was promoted above her at twice the salary. She planned to write a book, but her notes became instead a business plan for a beauty and cosmetics company that relied on women to sell merchandise to their friends and acquaintances through direct sales (otherwise known as multilevel marketing). She also pioneered the use of sales incentives, turning her company's signature pink Cadillacs into a sign of women's economic self-sufficiency. The son of a hardscrabble Missouri farmer, Carnegie began his career selling products and correspondence courses to ranchers. He eventually landed in New York City, where he began to offer a series of public speaking classes that were frequented by many budding salespeople. His landmark book How to Win Friends and Influence People instructs readers to become more effective communicators who focus on fostering healthy team dynamics. Carnegie was also ahead of his time in exhorting his followers to pursue work-life balance. This Detroit native made a name for himself as the greatest car salesman of the postwar era. As a young boy, he sold subscriptions to the Detroit Free Press door to door and learned that sales operated according to a law of averages all its own. The more doorbells he rang, the more money he made. He carried that philosophy forward when he graduated to selling big-ticket items. During a 15-year period that began in 1963, he sold more than 13,000 Chevrolets at a local dealership"”at one point selling 18 cars in a single workday. Despite a long sales cycle and little volume driven by repeat purchases, this legendary piano saleswoman sold more than $40 million in Steinways before retiring a few years ago. "It is not unusual for Feidner's customers to describe her as a force of nature," the journalist James B. Stewart, one of Feidner's clients, wrote in The New Yorker in 1999. "This is not because they feel pressured by her but because, after they meet her, many soon find themselves in the grip of musical ambitions they never knew they harbored. These ambitions often include buying a specific piano that they feel they can no longer live without, even if it strains both their living rooms and their bank accounts." The Ronco founder pioneered the process of selling consumer appliances and other products by infomercial. His exuberance created a market for the Solid Flavor Injector, Mr. Microphone, and the Showtime Rotisserie. "If I create a product, I can market it as well as or better than anyone on the planet," he told Inc. in 2009. "I have the confidence and the passion. People see that, and they know it is real." The king of aggressive corporate technology sales, Ellison seems to be one of those people who would rather be feared than loved. Oracle Corporation, the database company he founded, has for years been criticized for offering over-the-top discounts to win new business, followed by unexpected fees larded on to cover the costs of additional services. Ellison himself is credited (or blamed) for creating a culture of winning new business at any cost. He is famous for calling sales managers late at night and on weekends to ask pointed questions about stalled deals or lost accounts. One of the leading motivational speakers in recent years, Ziglar has helped shape the modern vocabulary of sales as much as any other sales expert. In particular, he encourages salespeople to commit to a lifetime of learning and training; to be extremely shrewd when it comes to setting (and thereby exceeding) goals and quotas; and to maintain a heightened level of motivation by constantly visualizing success. The founder of 1-800-Mattress was a genius at using technology to open new sales channels for his Simmons and Sealys. He was one of the first and most successful adopters of the 1-800 number, correctly predicting that consumers would be perfectly willing to have mattresses delivered to their homes sight unseen. Soon after the advent of e-commerce, he registered the domain name mattress.com, and derived significant online sales at a time when few retailers were thinking about the Web. Fun fact: The Ecuadorean-born Barragan got his start in 1950s Colombia, selling beer and soda from the back of a burro.